Whether you’re looking to refresh your home this Spring with a few updates around the home, or you simply love creating your own personalised gifts, crafting can be easier than you may think and a great way to spend some relaxing time this weekend. In this week’s blog we’ve pulled together some of our favourite, simple crafts that will take less than 30 minutes to create and will help to revive your home. Adorn your home with memories of your favourite moments and places by displaying treasured photographs in a unique way. 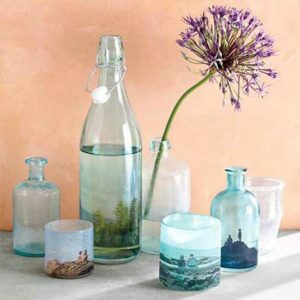 We love these simple vases made from recycled glass bottles. You can buy decal paper online and print your photos as you would normal paper. Simply wrap around our bottles, making sure to remove all those pesky air bubbles, for a custom-made vase or candle holder. 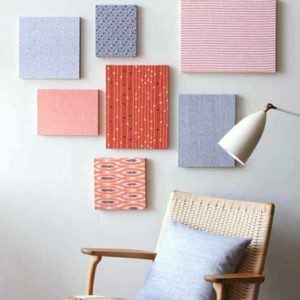 The wonderful thing about canvas boards is that anyone can make them! Choose fabric based on your current scheme, wrap the fabric around canvases of varying sizes. 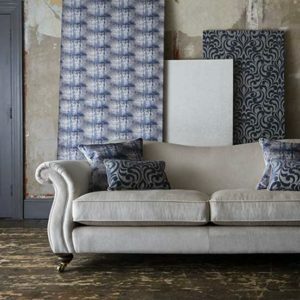 If you see a fabric that you like on our website, you can buy this by the metre from your nearest Parker Knoll retailer – perfect if you’d like to co ordinate your wall art with your furniture! 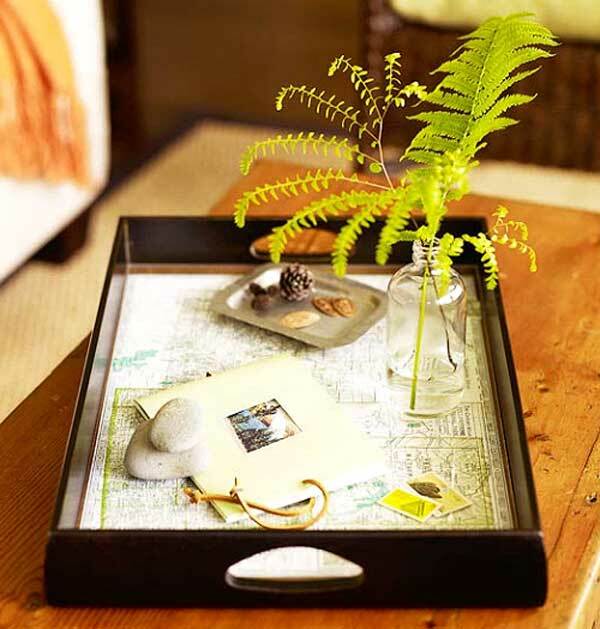 Do you like to display your trinkets on trays around your home? Rather than buying new ones, why not use a map displaying your favourite destination to cover the base. For something more contemporary, a roll of good quality wrapping paper will also do the trick and make a large difference to a small display tray. 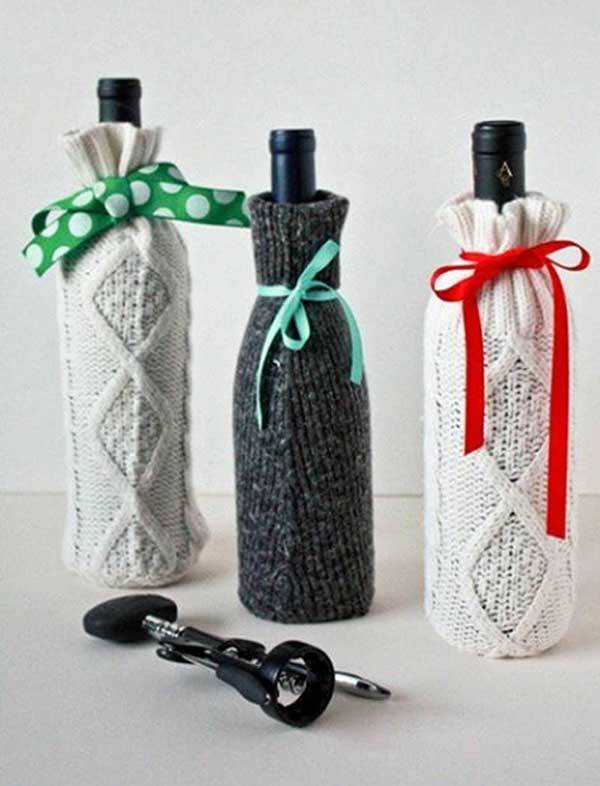 Keep a chilled bottle of white wine cool with these minimalist wraps. Made from jumper sleeves, they are easy to make and look fantastic! Cut along the sleeve of a jumper and make a circle just bigger than the bottle’s base, and sew the circle to the bottom of the sleeve. Turn inside out and you have a stylish case for your gifts! Homemade soap is a lovely gift, and surprisingly speedy to make! Melt soap base in the microwave for 3-4 minutes, and stir to create a smooth mixture. Add 1 teaspoon of lavender essential oil and a sprinkle of dried lavender buds to add colour to your soap, and allow to dry. Individually wrap and hand to friends and family for simple yet effective gifts. What are your favourite 30 minute crafts? Make sure to share them with us over on social media using #parkerknoll!